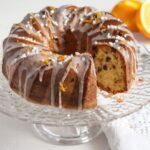 Tender and sweet orange bundt cake or Gugelhupf with candied orange peel, raisins, chocolate chips and almonds, a very easy and quick to make cake for the weekend. 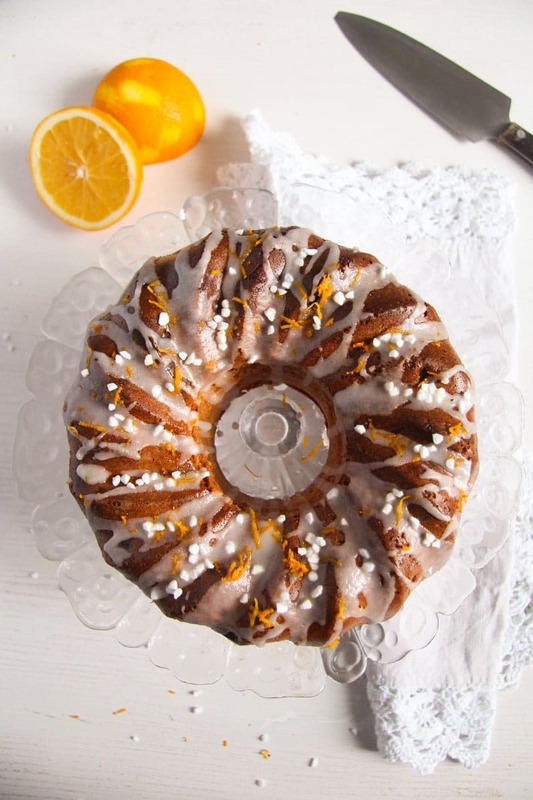 And they are so versatile, for instance have a look at this other Orange Bundt Cake on the blog, which although it also mentions oranges in the title and it definitely tastes of orange, still is so very different from today’s Orange Bundt Cake with Chocolate, Raisins and Almonds. 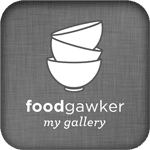 Or don’t forget to check one of my favorite flourless cakes – the Moist Flourless Chocolate Cake with Almonds. This is the so-called Bischofskuchen, a famous cake among the Transylvanian Saxons, you can probably find a version of it in just about any Saxon cookbook out there. I found indeed more than one version both in books, online and directly from the ex-in-laws of my best friend, they live in the village here, but they are Saxons from Transylvania. There are two main versions of the Bischofskuchen, one with and one without the egg yolks. 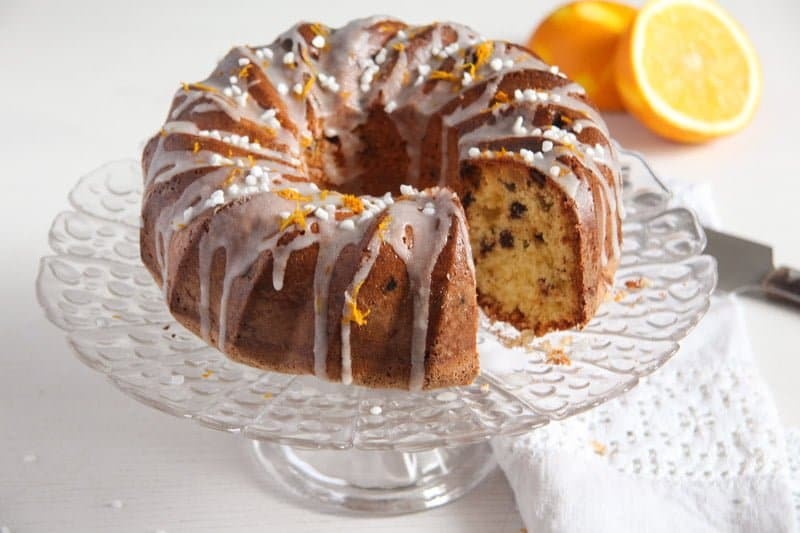 The purely egg white version is also called Eiklarkuchen or Egg White Cake, but both cakes contain a mixture of candied orange or lemon peel and raisins. After that, the sky is the limit, so to say! I have recently made both versions for the blog, both the egg white and the whole egg version and I like them both. If I was to choose a personal favorite, I would go for today’s whole egg version, but… you know what they say about the taste, it is really something very personal. Try both versions and decide for yourself. I will post the egg white bundt cake tomorrow. 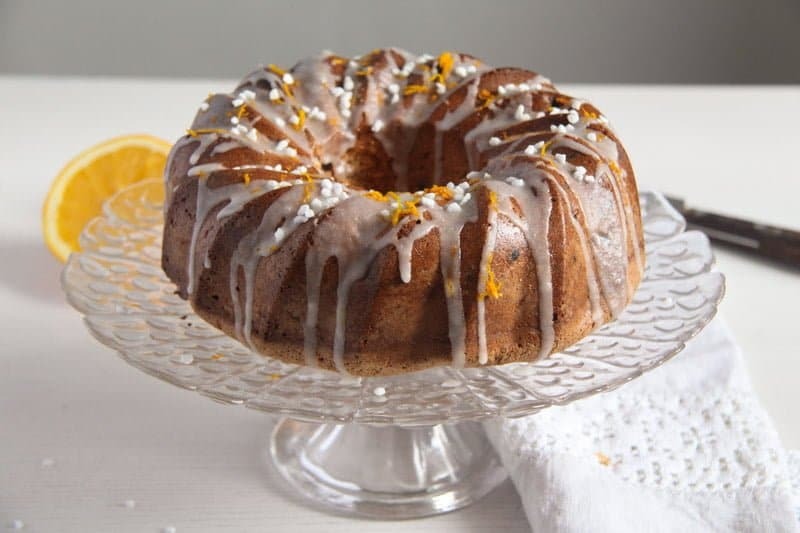 I usually use a silicon bundt pan for baking bundt cakes. That requires absolutely no preparing at all, pour the batter into the pan, bake, get it out of the pan in just about 3 seconds, everything perfect! However, I have several traditional non-stick bundt pans in several sizes, which I use quite often as well. They are not that difficult to work with either, but keep in mind that although they are called non-stick, if you don’t prepare them carefully, everything will stick to them anyway, and you can then scrape your cake pieces out of it instead of having a nice looking, whole cake. Preheat the oven to 180 degrees Celsius/ 360 degrees Fahrenheit. 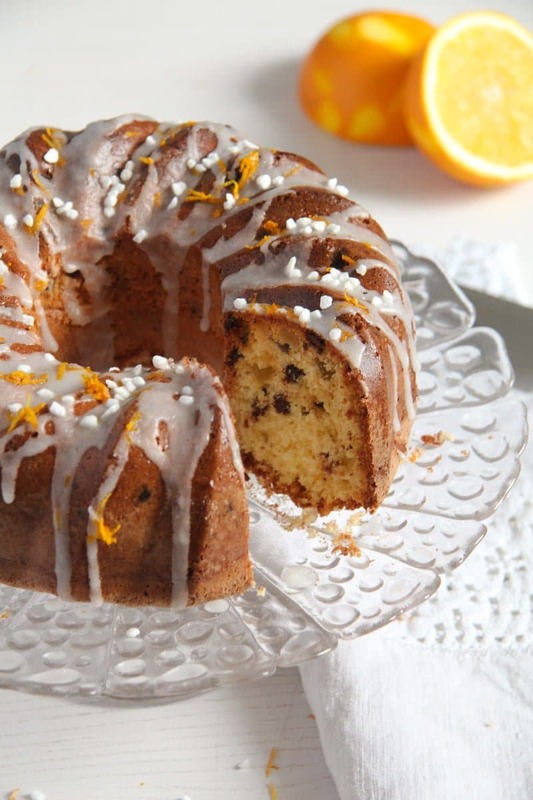 Butter the bundt cake dish very well and sprinkle it with flour to coat it. Read above for detailed instructions. Beat the eggs and the sugar until pale and fluffy. Wash and dry the orange and grate the zest. Halve and juice the orange. Give about half of the orange zest and 2 tablespoons of the juice to the egg and sugar mixture. Stir well. Reserve the remaining orange zest and juice for the glaze. 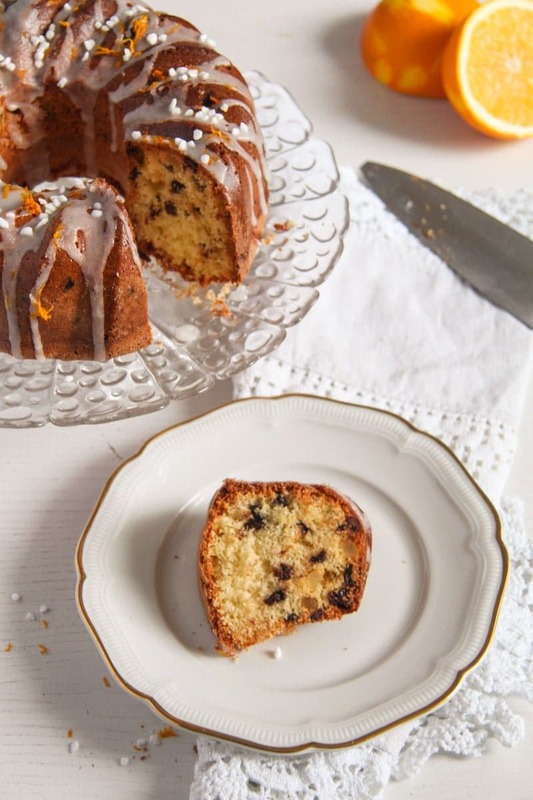 Add the raisins, chocolate chips, chopped candied orange peel and almonds to the batter and incorporate with a spoon. In another bowl mix together the flour and the baking powder. Gently fold the flour into the batter. Pour the batter into the prepared bundt pan and bake in the preheated oven for about 1 hour or until golden brown and a skewer inserted in the middle comes out clean. Let the cake sit in the pan for about 5 to 10 minutes, then revert the cake on a wire rack. Let cool completely before glazing it. To make the glaze, give the icing sugar to a small bowl. Add one tablespoon of the remaining orange juice to the sugar and stir well to form a paste. Add some more orange juice if necessary, to get the nice thick yet runny consistency you need. If you find the glaze too runny, add a bit more sugar to make it thicker and so on. Place the wire rack with the cake on a large plate or cake platter and carefully pour the glaze all over the cake. Immediately sprinkle it with some of the remaining orange zest and some decorating coarse sugar, if you wish. When the glaze is dry and not dripping anymore, you can transfer the cake to a clean cake platter.